There are over 20 MSW online programs offering CSWE approved degrees which require minimal face-to-face, in-person interaction. Some of these programs serve only a few dozen students in a small geographical area; others, like The University of Southern California (USC) has over 1500 online students nationwide plus international students. The number of such programs is growing annually and now, Walden University, a for-profit online corporation is offering a MSW degree and seeks full CSWE accreditation. It is apparent that this aspect of MSW education is significantly impaired in online programs, yet CSWE does not address this in enforcing its own accreditation standards. Similarly, CSWE diversity standards can hardly be addressed in programs where students and faculty have little or no in-person contact. Acknowledging that some educational content can be conveyed effectively with online technology, we need to insist on realistic and strong standards for social work accreditation and licensing that recognize a limited role for online courses. The American Psychological Association and American Bar Association already have such guidelines in their own accreditation requirements. The “online education” issue does not need to be an all or nothing dichotomy. The American Board of Examiners in Clinical Social Work, State clinical societies, CSWA, the (new) Coalition for Excellence in Social Work Education, SJS and all other interested individuals & groups need to immediately assist state boards and CSWE to develop new standards that reflect these challenges. 1. That 75% of all academic content in MSW programs be delivered in face-to-face, in-person classroom settings, including all required courses in social work practice and intervention. 2. That all MSW programs address issues of diversity in face-to-face, in-person classroom settings. 3. That all field internships transpire in community agencies and institutions where students can interact face-to-face and in-person with clients, relevant social networks, colleagues and community members. Client contact via videoconferencing should comprise no more than 25% of direct practice internship experience. 4. That all field internship supervision be conducted in-person and face-to-face with qualified supervisors who are personally familiar with the agency and community. 5. That field internships settings located more than 50 miles from the home campus of the department or school be visited in-person by faculty of the department or school. 6. That, reflecting the importance of transparency in the “implicit curriculum”, all corporate personnel affiliated with the program who are involved with direct contact with applicants or students in admissions, student support, and supervision be forthrightly identified as such. 7. That all programs clearly disclose to the public, via transcripts and other sources, which aspects of their education and training utilize distance or electronically mediated delivery formats. 8. That there is full disclosure of each program’s relationships with corporate partners involved in the educational activities of the program. This will enable students and concerned parties to monitor compliance with Section 1.06 of the NASW Code of Ethics that states that “social workers should be alert to and avoid conflicts of interest”. The NASW Code of Ethics highlights integrity as one of the six core values of the profession and states, “Social workers behave in a trustworthy manner.” According to the Statement of Ethical Principles adopted by the International Federation of Social Workers, “social workers should act with integrity” (statement 5.3). Further, the Clinical Social Work Association Ethics Code states that “clinical social workers maintain high standards in all of their professional roles, and value professional . . . integrity” (section I) and “public statements, announcements of services, and promotional activities of clinical social workers serve the purpose of providing sufficient information to aid consumers in making informed judgments and choices. Clinical social workers state accurately, objectively, and without misrepresentation their professional qualifications . . .” (section VIII). Section 1.06 of the NASW Code of Ethics state that “social workers should be alert to and avoid conflicts of interest that interfere with the exercise of professional discretion and impartial judgment” and “should not take unfair advantage of any professional relationship or exploit others to further their personal, religious, political, or business interests”. While this language is primarily directed to worker-client relationships, the opening section of the Code of Ethics says the Code “is relevant to all social workers… regardless of their professional functions (and) the settings in which they work…” As such, in an increasingly entrepreneurial academic environment, the aggressive marketing practices of some online MSW programs must be carefully scrutinized. While I recognize the concern about aggressive market strategies for online MSW programs, I take issue with the assertions that Mr. Stephenson makes about the lack of effectiveness of online education. Aside from one cited study about employers’ perceptions of online degrees, there is NO DATA presented in this article. It is pure opinion. For example, the quote from the CSWA’s report: “Exposure to diversity is not achieved when students and faculty see only remote visual images of each other on a computer screen; genuine exposure to diversity entails in-person interactions, dialogues, and the formation of meaningful relationships.” Where is the evidence that this is true? As I tell my own students, your opinions are valid but they are not worth much if you don’t support them with fact. 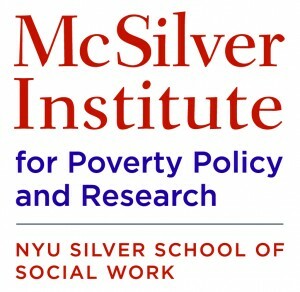 Until I see some evidence that, for example, “75% of all academic content in MSW programs” delivered in-person, rather than through online media, is produces more effective or successful social work students, I will assume that that this article and the committees’ suggested new standards are motivated more by technophobia than knowledge. While I recognize the concern about aggressive market strategies for online MSW programs, I take issue with the assertions that Mr. Stephenson makes about the lack of effectiveness of online education. Aside from one cited study about employers' perceptions of online degrees, there is NO DATA presented in this article. It is pure opinion. For example, the quote from the CSWA's report: "Exposure to diversity is not achieved when students and faculty see only remote visual images of each other on a computer screen; genuine exposure to diversity entails in-person interactions, dialogues, and the formation of meaningful relationships.” Where is the evidence that this is true? As I tell my own students, your opinions are valid but they are not worth much if you don't support them with fact. Until I see some evidence that, for example, "75% of all academic content in MSW programs" delivered in-person, rather than through online media, is produces more effective or successful social work students, I will assume that that this article and the committees' suggested new standards are motivated more by technophobia than knowledge. Rebecca, I agree. There are many core courses that can be taken online and via camera if needed. There are conference software systems that allow many of the features that he claims are missing in the classroom milieu including hand-raising for questions, emoticons, etc. He seems to not have experience with these systems and features. Simple fact is, the times they are a changin’ and the author needs to catch up. It’s a well structured argument on the surface but it also reveals his lack of knowledge. As a disabled person, it’s difficult for me to get around. The opportunity to get an advaced degree online is really important. Being able to take the courses online opens that up to me. In fact that is why I read the article. I don’t mind doing as much face-to-face needed. Rebecca, I agree. There are many core courses that can be taken online and via camera if needed. There are conference software systems that allow many of the features that he claims are missing in the classroom milieu including hand-raising for questions, emoticons, etc. He seems to not have experience with these systems and features. Simple fact is, the times they are a changin' and the author needs to catch up. It's a well structured argument on the surface but it also reveals his lack of knowledge. As a disabled person, it's difficult for me to get around. The opportunity to get an advaced degree online is really important. Being able to take the courses online opens that up to me. In fact that is why I read the article. I don't mind doing as much face-to-face needed. The idea that further research might justify online MSW education is an endorsement of the status quo of online educ. This research will be (and currently is) done by online faculty and will be as unbiased as infamous research conducted by private psycho-pharm companies. Certainly research can address many important questions. Just imagine however, the cost and practical problems in designing an impartial study that compared outcomes of a traditional MSW degree program with a MSW online program. Would students be randomly assigned to each condition? What would the outcome criteria be? How would these criteria be decided? By professional consensus? If we accept that informed consent is needed in such research, how could we ethically pursue this question in our research? Many “bright lines” in social work and related fields are not supported by empirical research. For example, why shouldn’t the MSW be one year, or three? Why shouldn’t advanced licensure require five years of post MSW practice, or six months? Why shouldn’t medical school take three years, or five? These in the end are all issues decided by consensus of opinion in our professional community. private profit corporate-school of social work online complex/juggernaut continues, full tilt, to significantly devalue all MSW degrees. The objective and standards advocated in my brief article is to promote excellence in graduate social work education by recognizing that the bedrock principles of social work education and practice—- relationship skills with clients and communities and the importance of the “person-in-environment”—must be primarily taught in face-to-face, in-person interaction between students, faculty members, clients and colleagues in field internship agencies and clinics. As a currently enrolled MSW student with USC’s “virtual” program, I can attest that the quality of education received via webcam is basically the same as face to face. We attend live interactive classes at specific times each week with our professor and classmates. Some professors also teach at USC’s on-ground MSW program, and the content is the same. In fact, I would even say that our education is further solidified by required online work, live in-class lectures and quality internships. I agree with Rebecca that Mr. Stephenson is writing based on opinion. Mr. Stephenson, please do thorough research before making negative opinions about something you have likely not experienced. My classmates and I work very hard for this degree, and as a military spouse I do not have the luxury of guaranteed residence for an entire length of an on-ground program. I am grateful for the quality of education I receive in very small virtual classrooms at USC. As a currently enrolled MSW student with USC’s “virtual” program, I can attest that the quality of education received via webcam is basically the same as face to face. We attend live interactive classes at specific times each week with our professor and classmates. Some professors also teach at USC’s on-ground MSW program, and the content is the same. In fact, I would even say that our education is further solidified by required online work, live in-class lectures and quality internships. I agree with Rebecca that Mr. Stephenson is writing based on opinion. Mr. Stephenson, please do thorough research before making negative opinions about something you have likely not experienced. My classmates and I work very hard for this degree, and as a military spouse I do not have the luxury of guaranteed residence for an entire length of an on-ground program. I am grateful for the quality of education I receive in very small virtual classrooms at USC. I can’t speak to the other online MSW Programs, but I do not feel USC is watering down the profession nor is it lacking in upholding to the ideals outlined within the NASW Code.Forum based learning seems to be the main focus of the concerns highlighted above. I believe USC’s MSW Program should be the benchmark of which online learning should strive to reach. I can't speak to the other online MSW Programs, but I do not feel USC is watering down the profession nor is it lacking in upholding to the ideals outlined within the NASW Code.Forum based learning seems to be the main focus of the concerns highlighted above. I believe USC's MSW Program should be the benchmark of which online learning should strive to reach. As Devon Osborne said eloquently. “Simple fact is, the times they are a changin’ and the author needs to catch up. It’s a well structured argument on the surface but it also reveals his lack of knowledge.” Although I question even the structure since no actual evidence is provided for the allegation that online social work programs are inferior to in person training. Two year full time MSW programs were the only way to train social workers. Advanced standing or part time programs were considered inferior. Nonsense. One could not work and have their field placement in the same agency. Again, nonsense. Having sessions with clients over the phone was inferior to face to face. No evidence to support that contention. There will always be naysayers who are convinced that unless a new generation does thinks exactly the way they were taught the profession is doomed. But these naysayers are not leaders of a profession but anchors dragging a profession down. Are there concerns related to online training of social workers? Perhaps. But present some actual evidence that can be examined. The above article leaves much to be desired and would receive a passing grade at one of the schools he denigrates. As Devon Osborne said eloquently. “Simple fact is, the times they are a changin’ and the author needs to catch up. It’s a well structured argument on the surface but it also reveals his lack of knowledge.” Although I question even the structure since no actual evidence is provided for the allegation that online social work programs are inferior to in person training. I have been around long enough to remember when: Two year full time MSW programs were the only way to train social workers. Advanced standing or part time programs were considered inferior. Nonsense. One could not work and have their field placement in the same agency. Again, nonsense. Having sessions with clients over the phone was inferior to face to face. No evidence to support that contention. There will always be naysayers who are convinced that unless a new generation does thinks exactly the way they were taught the profession is doomed. But these naysayers are not leaders of a profession but anchors dragging a profession down. Are there concerns related to online training of social workers? Perhaps. But present some actual evidence that can be examined. The above article leaves much to be desired and would receive a passing grade at one of the schools he denigrates.